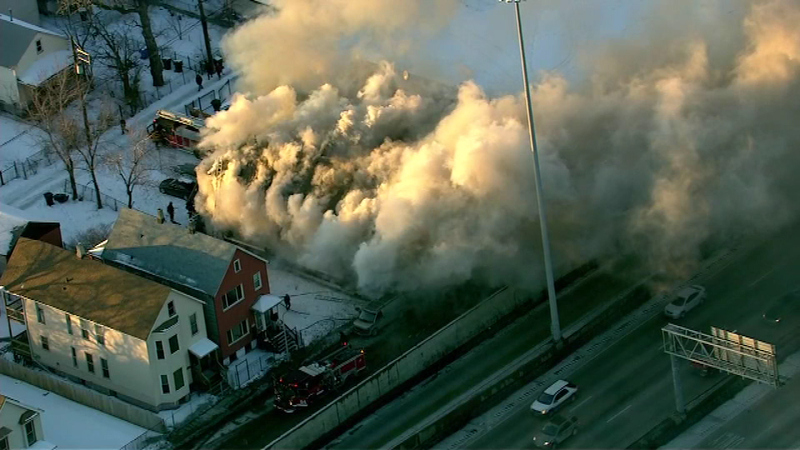 CHICAGO (WLS) -- Heavy smoke is blowing onto the Dan Ryan Expressway from a house fire near 55th Street. Drivers should slow down through the area. The Chicago Fire Department is on the scene in the 5300-block of South Wells Street. The house, which backs up to the Dan Ryan, may be abandoned.